Dr. La Luz (who likes to be called just “Azul) was born in Puerto Rico, but was raised in New York City’s Spanish Harlem. His PhD is in Medical Sociology, Race & Ethnicity, and Criminology from the Department of Sociology at University of New Mexico, Albuquerque. He specializes in mental health research with an emphasis on heroin addict and comorbidity in minority populations. His dissertation focused on evidence of mental health pathology and intergenerational patterns of heroin use in the Latinas and Latinos in Northern Central New Mexico, with accentuation of accidental drug overdose deaths as suicides. He introduced two new medical sociological concepts in his dissertation, Street-Level Trauma and Cultural-Post Traumatic Stress Disorder. 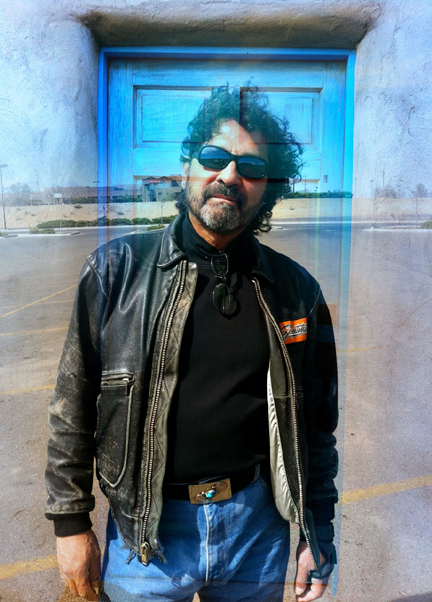 Azul earned two masters’ degrees from Western Illinois University at Macomb, Illinois: One in Sociology (crime and gender), and the second in Geography (Rural and Urban Planning). Azul is also a certified Clinical Hypnotherapist. 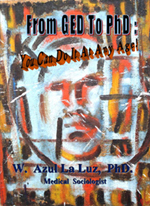 After all these academic achievements, Azul says he is most grateful and proud that he earned a GED: It was the launching pad which allowed him to travel the extremely long distance from the streets of Harlem in the 1960s (where he was a heroin addict, gang member, and ultimately left Harlem to served a 12 year prison sentence) to the halls of academia in the 1990s.